Today, I am sharing something special with you… The Austrian band Our Ceasing Voice. I chose three songs and they are all quite different. I really like that you can hear the evolution and change over the years, and yet, there is something that is still undeniably Our Ceasing Voice. I hope you enjoy it. If the first song is not for you, try the second or third. I joined Goodreads a couple of days ago. Honestly, I have no real idea how it works, but I will figure it out on the go. The app doesn’t seem to allow me to do much. Come join me there, please. It is quite lonesome at the moment and I don’t know what to do. I added half of my library, but got tired, lol. 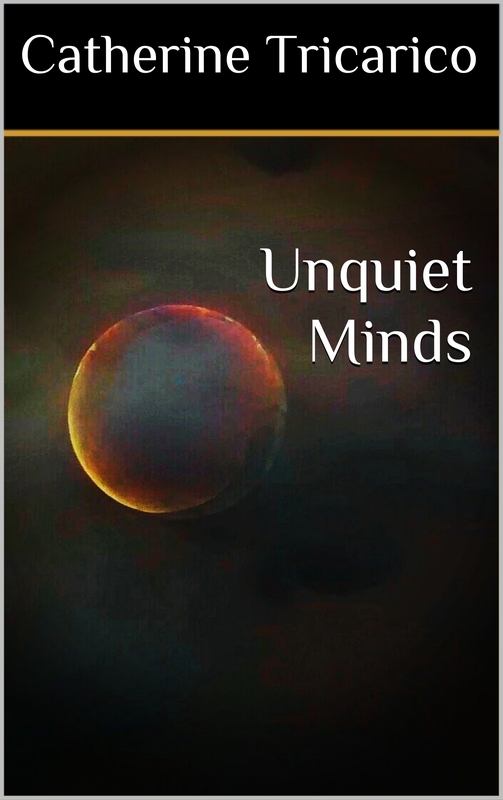 It was by sheer coincidence that I noticed a five star review for my book Unquiet Minds on Amazon.de. It is the first review on Amazon, and I have no idea who wrote it. I think, I don’t know them, but I am very grateful for these beautiful and kind words. But you can also get in touch with me, and I’ll send you a signed edition. It is scary to fall apart publicly. It is even scarier to fall apart all alone. But you are not alone. And the darkness and apathy is understood and lived by many. Me included. There are these high highs and the low lows. And all I want is this: if you look at me, please see me. If you see me for the damaged person that I am, please love me. I felt from you words that you feel the same. The outside world can be perfect, but if the inside feels like a storm, the most perfect life becomes dull and blunt. Sometimes, life is overwhelming. Sometimes, all we can do is cry and let the tears wet our cheeks for seemingly no reason. And maybe, maybe it looks as if you aren’t doing anything, as if you aren’t moving. But you are doing a whole lot. You are not giving up. You are light, Nathan. You don’t see it because you are in the dark, but believe me, you are light. On top of that, you are not missing from your life. This may not be how media or friends or whoever suggests life to be, but sometimes it is like that. Sometimes we fall apart. You are there. I can see you! And I like this vulnerable side of you. There is nothing wrong with it. Fall, Nate… we are there to catch you. I remember reading Nate’s post and falling apart too. November 2017 should have been amazing. It should have been the most precious and extraordinary month of my life. But for reasons that were not in my control, it wasn.’t. And I fell. For months I had been struggling and I had been trying to keep moving. But then came the time and I fell. And no one seemed to see it. Or maybe they did and it didn’t matter? I didn’t matter. I was giving up. I was ready to give up my life. My poetry book “Quiet Minds” was supposed to be my final mistake and my final goodbye. But when I published that book, I felt something. I felt proud of myself. I loved that side of me – the creative/writing side. And through all the muddled thoughts, I began to see myself. Many days I am still my own worst enemy, but there are also the days when I am my biggest fan. I am a fan of the comment I wrote and shared above. I am sure that I wasn’t sober when I wrote it, but I can assure you, my words are my truth. I don’t often share links on here anymore, but I stumbled across and I quite like it. We are all the same. We are the universe. It is quite humbling. Watch the clip, it is short, and share your thoughts with me. … is available for your Kindle now. Yes, you read that right. Come on. You know you want it. There is a possibility to take a look inside the book. Also, thank you to the recent Smashwords purchasers. You are heroes. You put a smile on a tired face. Thank you.